TransDevelopment Group provided complete Development Management services for this turnkey, state-of-the-art facility outside of Mexico City. The 22-acre, US$6 million facility is the dedicated export point for Ford trucks in shipment to the United States. 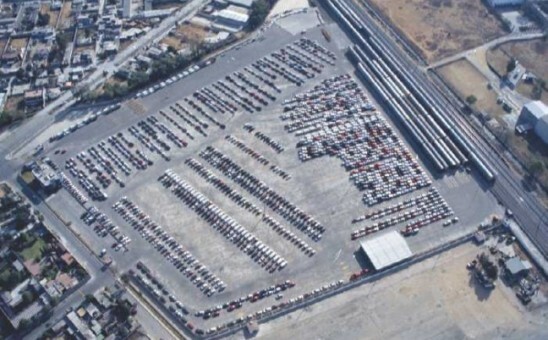 It also serves as Ford’s national import vehicle distribution center. The facility includes a large office building for Ford’s transportation provider, inspection and repair buildings, and extensive trackwork to support private switching operations. The facility was completed on a fast track basis, coordinated with a new model launch, and at a substantial savings from early client budget estimates. In 2008, when Ford announced that the Cuautitlan Assembly Plant will produce the new North American version of the Ford Fiesta, TransDevelopment worked with Ford to determine whether additional capacity would be needed to accommodate the increased volumes. TransDevelopment studied alternatives for expansion of the existing terminal and development of an additional terminal.